Nathan, the lead instructor and curriculum author, has over eight years of military officer leadership experience, fifteen years of backcountry and mountaineering experience as a participant and professional guide, and is a year into his ecology work as a student in the University of Vermont's Rubenstein School of Environment and Natural Resources. In August 2016, he will lead a team of two US-based undergraduate instructors and one Kyrgyz-based experiential educator to implement the ELP program vision. The program will require funds on a rolling basis beginning in February 2016 (to purchase airline tickets) and will gladly accept donations up until the instructor team's departure from the United States in mid-July 2016. 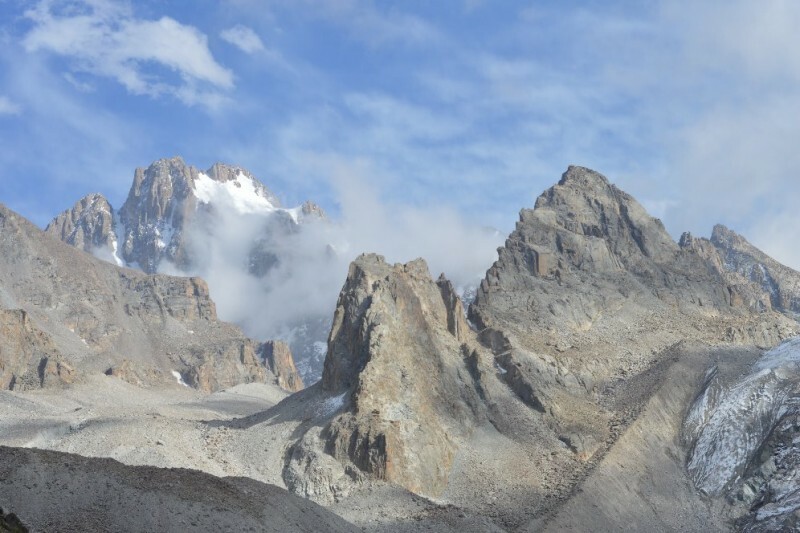 If you are not able to contribute a monetary donation, the project also gladly accepts any gently used outdoor clothing (down jackets, Goretex jackets) to help supplement the Kyrgyz students' outdoor equipment (please contact Nathan in person for details). The Ala Archa Eco-Leadership Project seeks to bring together the best of the outdoor and conservation community to assist the students of Kyrgyzstan in contributing to their sustainable future. We greatly appreciate any assistance to help us bring this program vision to reality! Huge step today ... The American Alpine Club awarded a $500 research grant to our ELP work. We also completed the final curriculum and should send it to print in the next few days. Looking good, ELP! Hey, ELP watchers! We've been posting big news on Facebook. Head over to @EcoLdrProj to see what's going on. With one month out, we have tents donated from Kroka, microspikes from Kahtoola, and water bottles from Nalgene, not to mention some amazing support from our grassroots supporters like Jayne Arden and my clan back in Louisiana. Thanks you all of you! If you've been holding out until the 11th hour to help make this program a reality, please swoop in and save the day now! We've pulled together enough funding to get by, but every little bit now brings us closer to a full success. With the funds we have in place, we'll be buying student food, transportation to Ala Archa, and essentials such as water purification tabs. The next round of donations will fund the supplies for our trail conservation project and allow us to provide our instructors with a small stipend to cover their professional work. Anything that you can provide will be a HUGE help to us. And, as always, please help spread the word about our work! More updates to follow ... follow us on Facebook! Hey, ELP supporters. It's been slow for the campaign, as we've been working on a big grant application through USAID. Keep following on Facebook as we continue to move closer to August and our goal of hosting AUCA's first Eco-Leader Program! And a HUGE thanks to the Alwell and Rachal families from back home in Louisiana and my friend Gordon Thomas for two generous donations. Every bit gets us closer to our goal of putting together a professional program for our students. Thanks and keep watching! What a great week for the ELP! Sonya received an academic grant to help defray her costs in the program. That's one HUGE step towards our financial goal. We continue to work on grant applications and the curriculum here in Vermont. August is getting closer every day, so please share us amongst your networks and build more support! More updates soon! Wishing everyone a healthy, safe, supportive, memorable and highly educational journey. With love. The Big Island Crew & The Bossier Bunch too wish you every success!